My name is Romeo, and I am a Thoroughbred Cross. 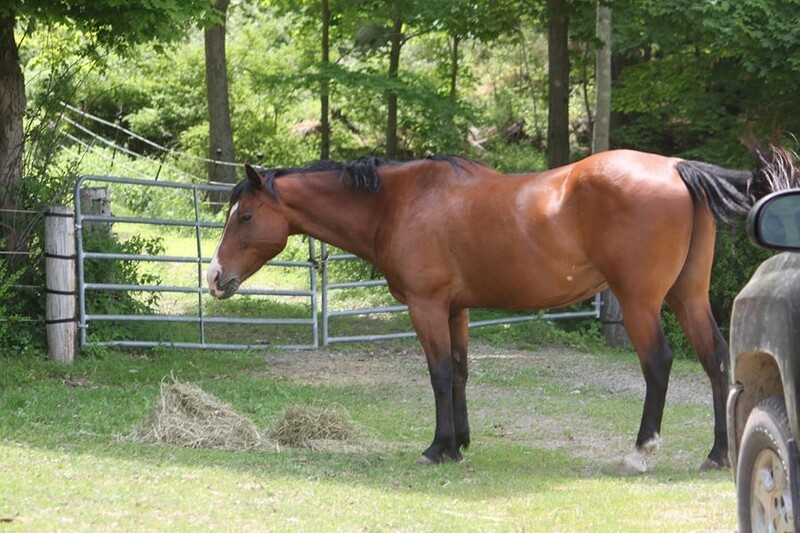 I was rescued from slaughter from the Pennsylvania Kill Pen. I lived in terrible abuse and suffering. My body was covered with rain rot, and I was full of worms. I had severe allergies and sores on my body. My body condition on a scale was about a 5, from one to 10 not very good. The kind folks at Rivers Edge had me vetted and fed me a special diet, as needed for my weight and my allergy condition.